Does your iPhone or Android smartphone support wireless charging feature? If you own a flagship handset released from 2016 onwards, a current iPhone, or the Cherry Mobile Flare S7 Plus, then you do. Well, here's an accessory that you might want to get to reap the benefits of that useful capability of your daily driver. 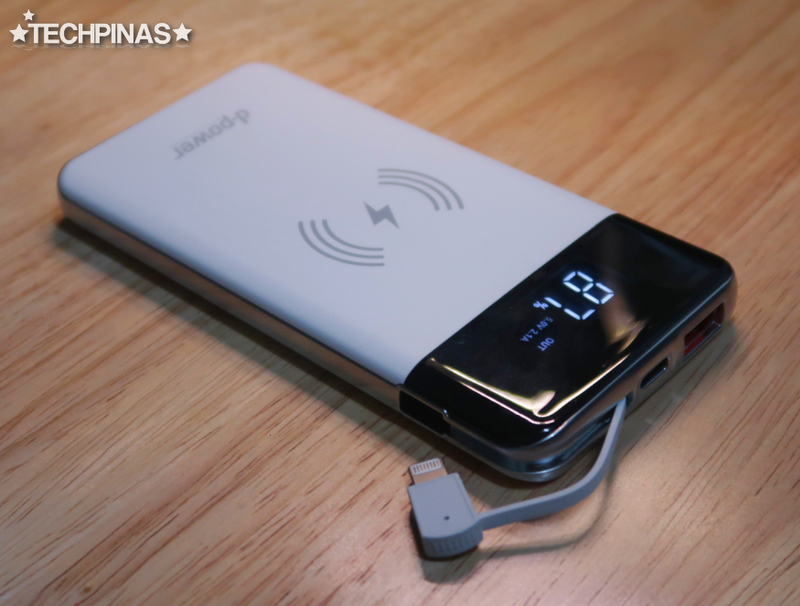 Believe it or not, there's already a powerbank that's available in the Philippines which charges supported devices without the need for a cable! 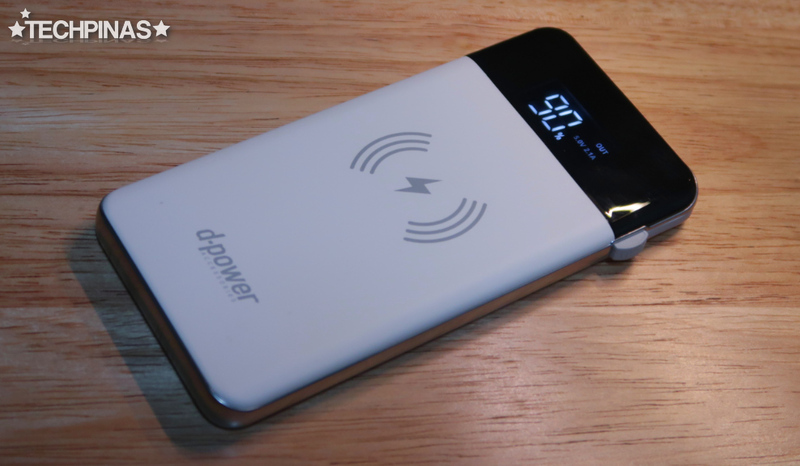 DPower 10,000 mAh S8+ Ultraslim Series powerbank sells for only PHP 1,599 at Shopee -- and it's crafted to be the ideal companion of high-end smartphones with wireless charging feature. Simply put your supported smartphone on top of it and it will already charge your device. 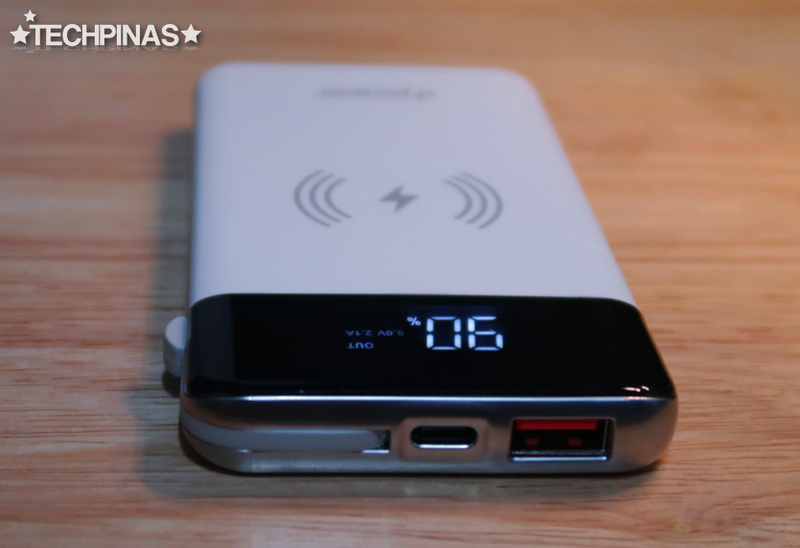 Just make sure that the lightning icon on the powerbank touches the middle part of your phone's back panel. 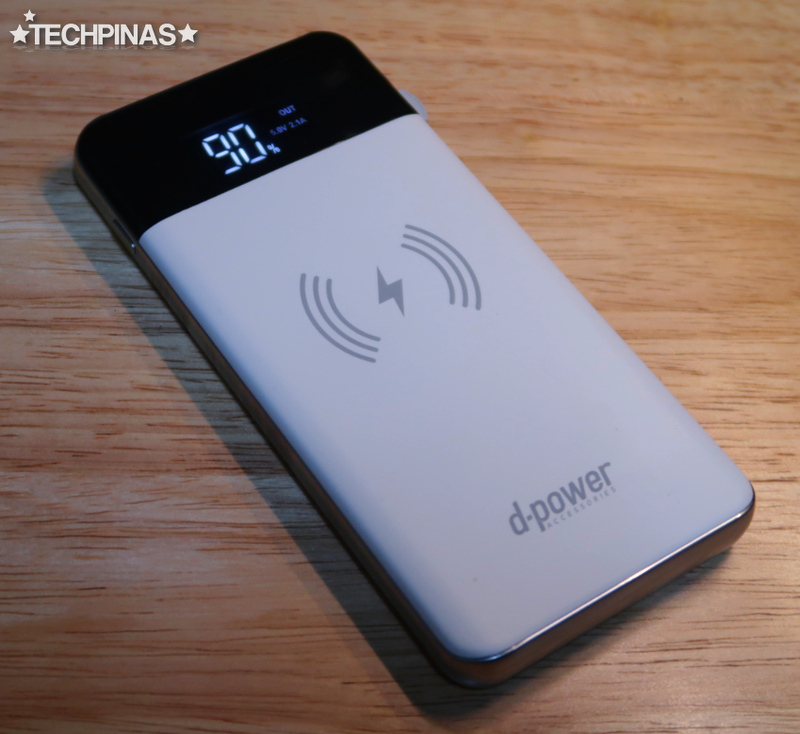 Better than mere LED light indicators, DPower S8+ has a small LCD screen in front that shows the powerbank's exact charge left -- so there's no guessing game. Apart from its 1A Wireless Charging output, this model has a USB port - for typical wired charging - with intelligent output support that maxes out at 3A. 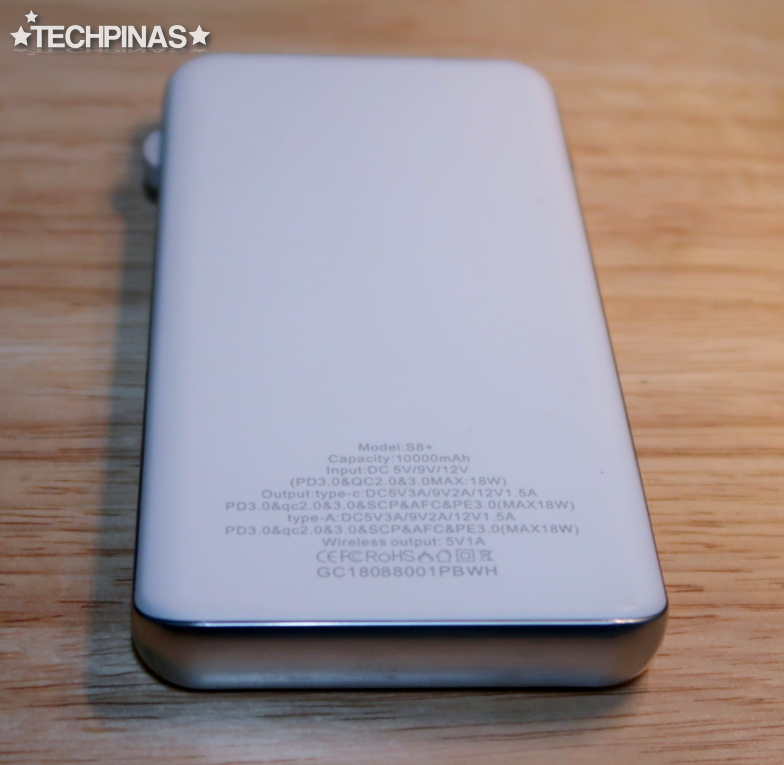 It also has a USB Type C in-and-out port that can used for charging the powerbank or for charging other devices. 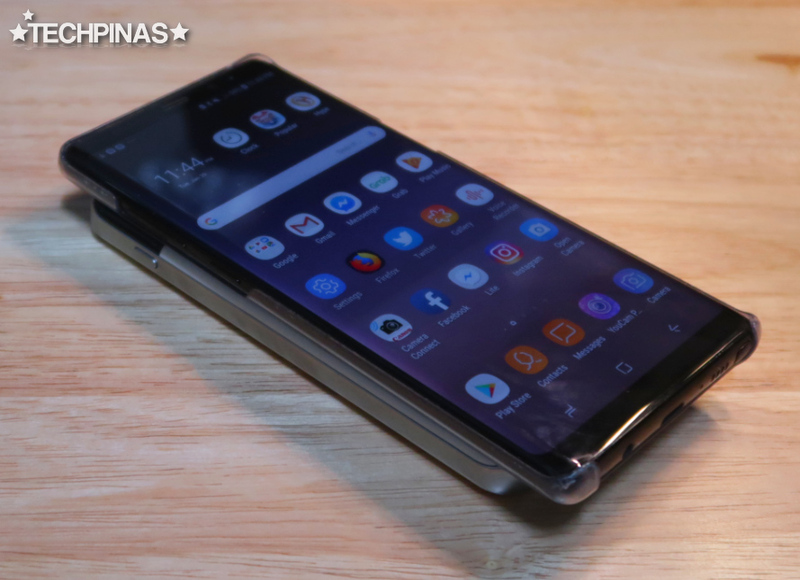 In the event that you forget your charging cable at home or office, you won't have to worry because S8+ Ultraslim has a built in charging wire that can plug to both the Lightning port for an iPhone or an Android smartphone's microUSB 2.0 port. To be honest, this is my favorite powerbank currently because it has many useful features and it's ultra slim and light for a 10,000 mAh pack. Yes, it's a bit pricey -- but I think it's totally worth it. Get it! I highly recommend this model.